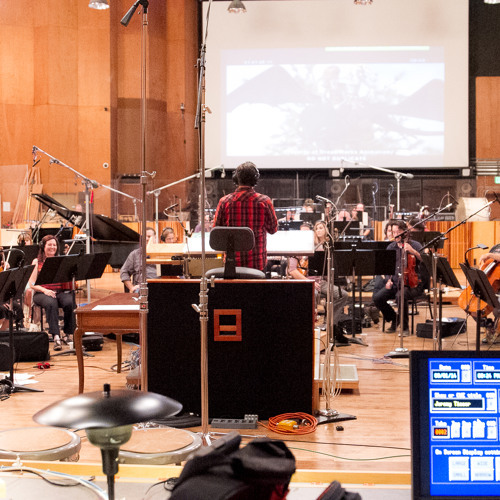 This is my final cue that I wrote, orchestrated and conducted as part of the ASCAP Film Scoring Workshop 2014. Recorded at 20th Century Fox on the Newman Scoring Stage with 61 wonderfully talented musicians from AFM Local 47. Music Prep provided by JoAnn Kane Music Services. Engineered and mixed by Armin Steiner. Music Editor Michael T Ryan. Orchestra Contracted by Peter Rotter Music Services. Really nice work! ! Love it! This is really beautiful work Jeremy! Congratulations!